Photoperiodism is the ability of plants to physiologically respond to light changes. When the amount of light time decreases during the fall, trees know that winter is coming so they make their leaves fall. Later in spring, new leaves start to be created again as a response to days growing longer. 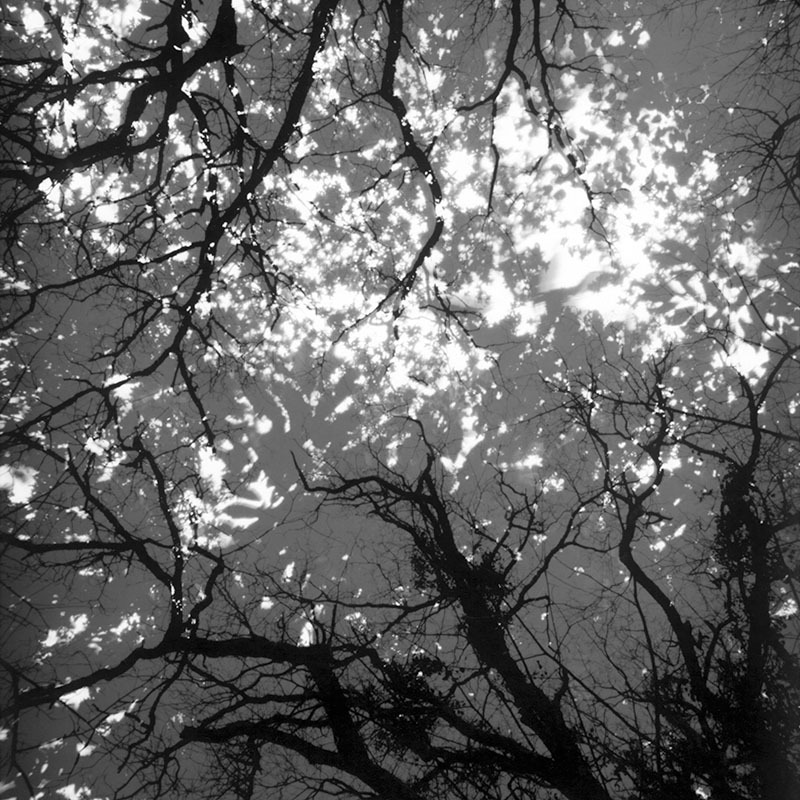 I wanted to be a witness to this phenomenon, so I’ve buried several pinhole cameras in the woods pointing them towards the tree branches. Each camera has been in place for six months. 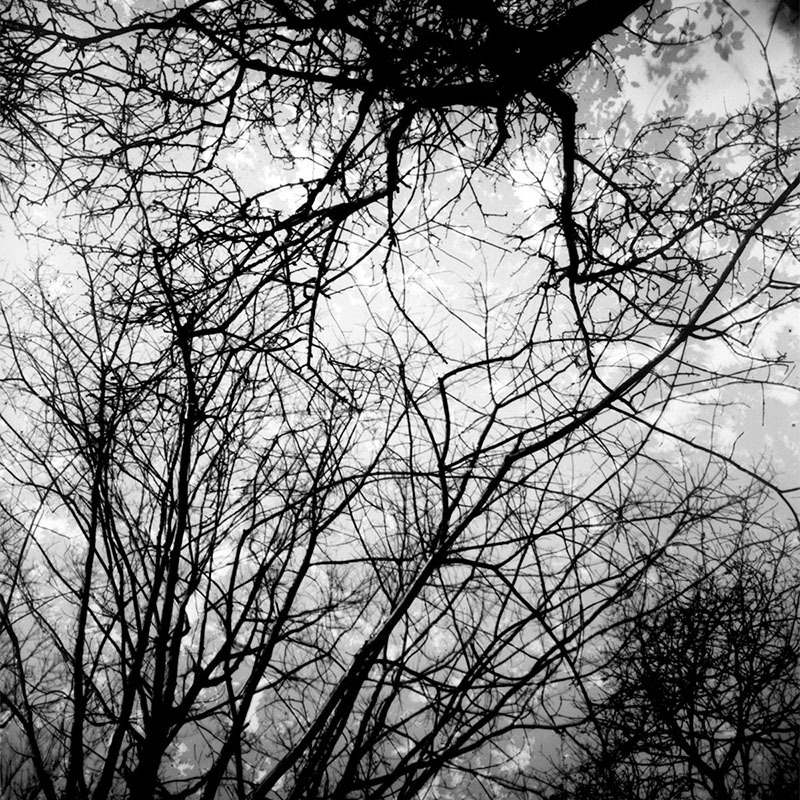 Within this lapse of time I opened the shutter twice, once in winter and then a second time in summer, six months later. 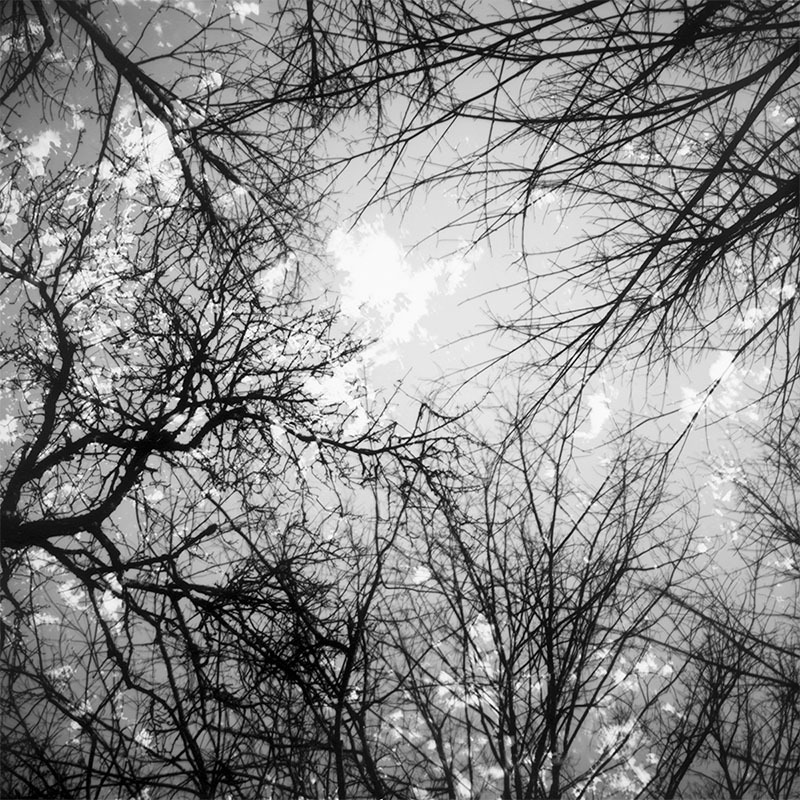 I have used this relationship between light and trees as a way to challenge the two pillars of photography: light and time. It is well known that is through light that the shapes we see are created. The photographers job then is choosing some of these shapes to compose a specific image. That’s what we call framing. The method I used to take this pictures, however, only meets the premise halfway. 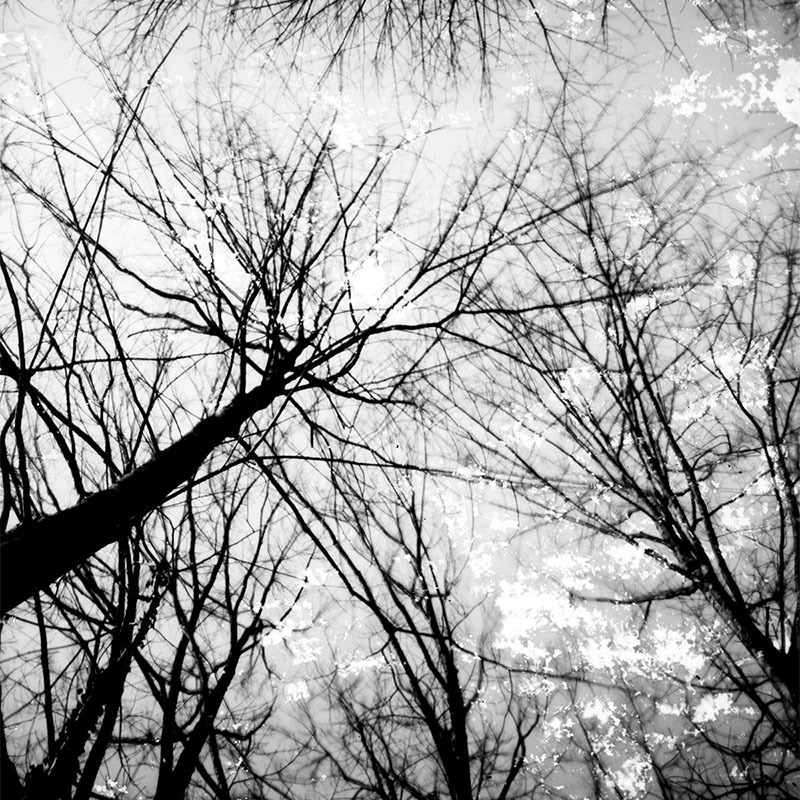 Trunks and branches would appear naked against the sky in the first exposure, but in the second one some new elements showed up: leaves. I could anticipate that they would come, of course, but I couldn’t see them beforehand. So in a way the leaves added themselves as new objects outside the photographers control, randomly reshaping the final result. 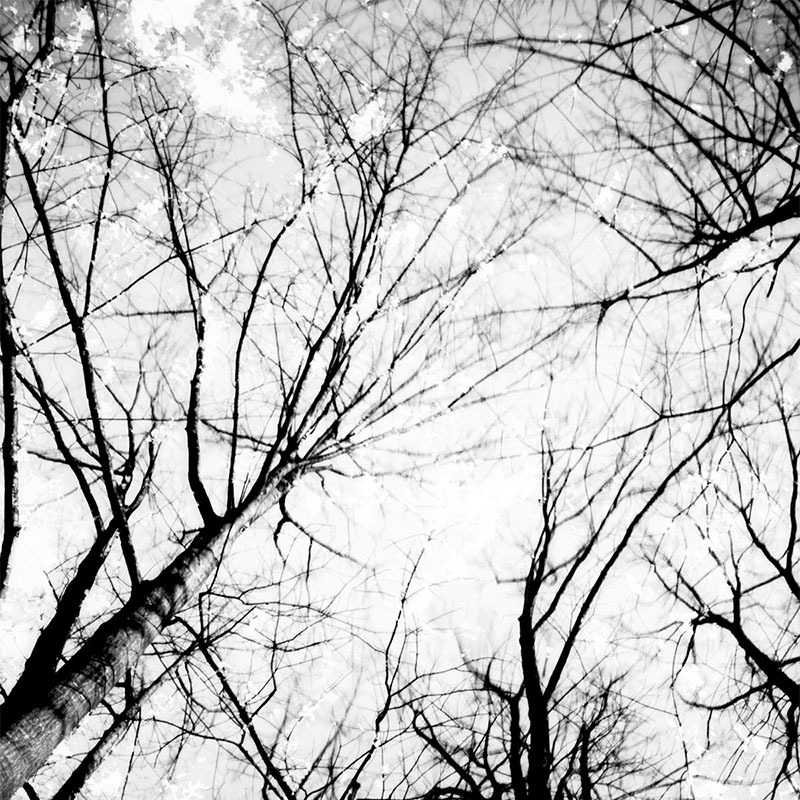 Furthermore, the eerie appearance of the leaves evokes the other basic element of photography: time. Taking a picture is attempting to stop time freezing an instant. To that end, the photographer needs to choose a specific time frame, and then decide what exact moment deserves to be saved forever. This decision is a particularly important one in photojournalism, for instance. This project brings this process into question since the images don’t show a single instant in time but two. Each of the pictures brings together two different moments that are very separated in time. In a way, this is an expression of a fracture in the time continuum. Merging those two instants in a single picture is like making a synthesis of a long period of time. 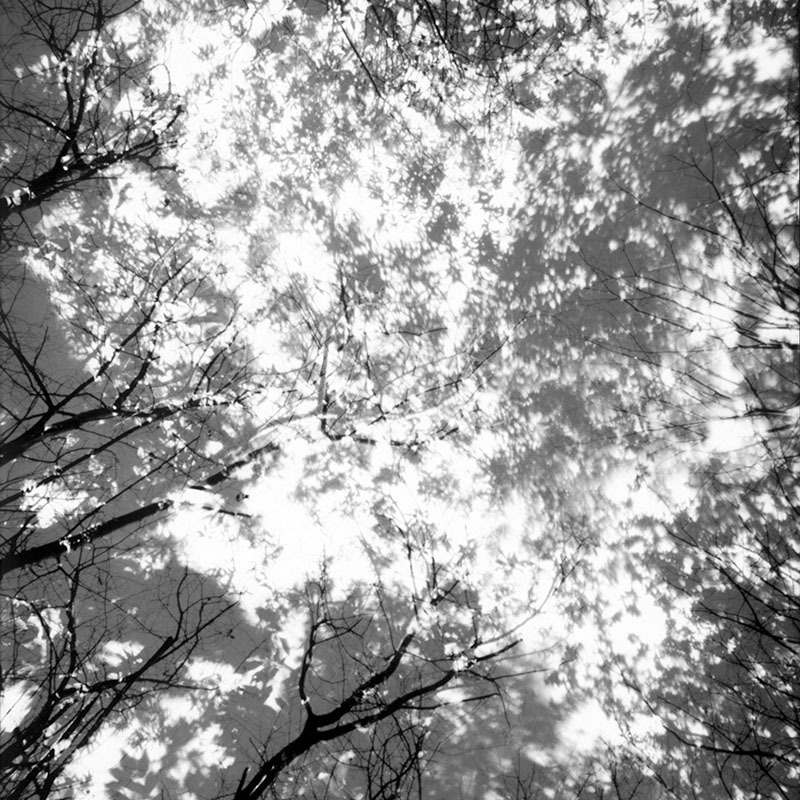 Such an idea echoes another process related to plants, time and light: photosynthesis. Which, by the way, would have been a good title for this project also.